With the launch of our lemon collection in fashion and home, we’re loaded up on lemons right now. 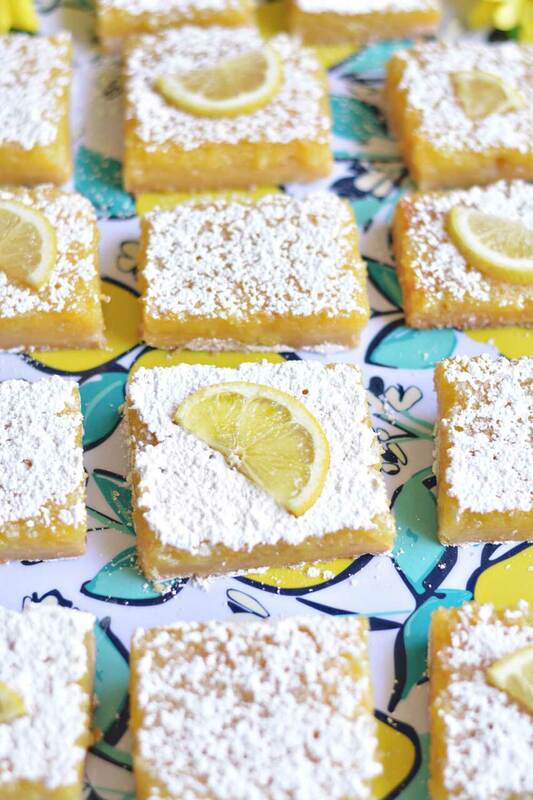 And what better way to bring more lemons into our lives than by baking lemon bars? 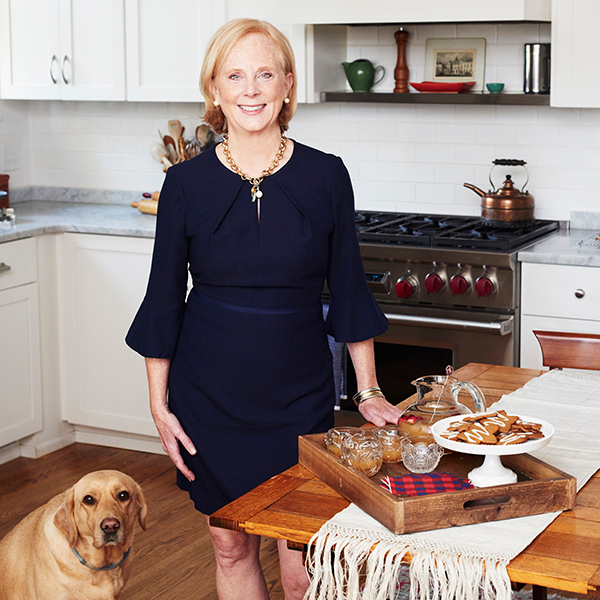 In search of a recipe, we turned to Beth Branch of Bethcakes. This Birmingham, Alabama-based blogger—whose blog and Instagram are pretty much our definition of the term mouth-watering—quickly came to our (lemon!) aid. 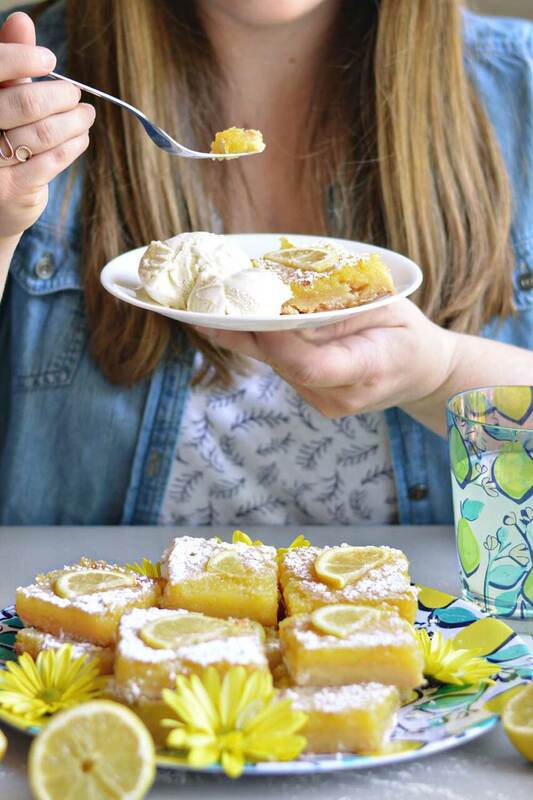 Click here to get Beth’s recipe for lemon bars (hint: they’re best served with a bit of vanilla ice cream on our Lemon Plates and Lemon Melamine Tray) and read on for a little bit more about what makes this talented blogger-baker tick. What do you think distinguishes your cakes and desserts? I really enjoy the creative elements of baking and cake decorating. I can never seem to make anything “plain.” I always want to throw in some kind of crazy flavor combination, some interesting visual elements, or tons of sprinkles. At the same time, I try to make sure that even people who don’t have much baking experience can enjoy making the recipes. Three personal favorite recipes from your site? Some of my recent favorites! Grapefruit Mimosa Cake, The Ultimate Peanut Butter Lover’s Cake, and No-Churn Thin Mint Ice Cream. Most popular recipes? Why do you think they struck a chord? Sparkly Heart Emoji Cake, Mini Bourbon Pecan Pies, and Snickerdoodle Macarons. All are relatable because they are either fun twists on classic recipes, or they’re just plain fun. Sometimes, I make things because I get an idea in my head, and I just have to see it through; and sometimes, I like to take traditional recipes and give them a little update! Recipe you are dying to try next? Since it’s practically summer in the South already, I’m really looking forward to warm weather recipes. I already have some no-bake pies, ice creams, and popsicles on my “to make” list. I’m also dying to bake with fresh summer fruits like strawberries, peaches, and watermelon! Anything that makes your recipes particularly Southern? I absolutely love traditional Southern dessert recipes: red velvet cake, hummingbird cake, Mississippi mud cake, classic banana pudding. . . There are so many fantastic Southern staples, and I love putting my own personal spin on them! 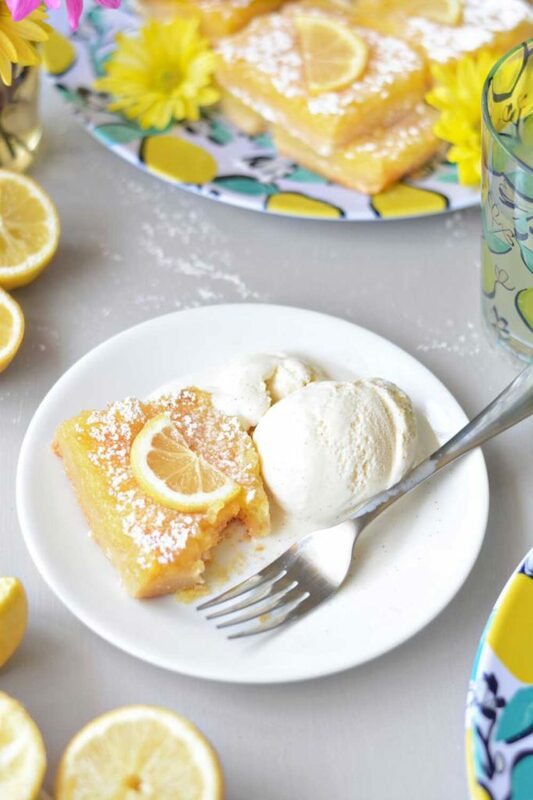 Click here to get Beth’s take on classic lemon bars.